Spice Quilt 58" x 78"
Joannes Designs Week20 'Spice Quilt' a design I created using two different blocks and a range of stunning batiks that represent spices. There are so many beautiful batiks on the market to choose from so have fun choosing your favourites! I love the way that the blocks within the spice quilt take on a circular design when viewed at a distance - a nice illusion that I hadn't realised until after I designed it! 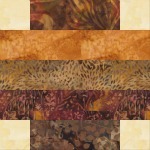 The quilt is made from 10 different fabrics in 2 colourways, browns and cream. All the fabrics are batik. 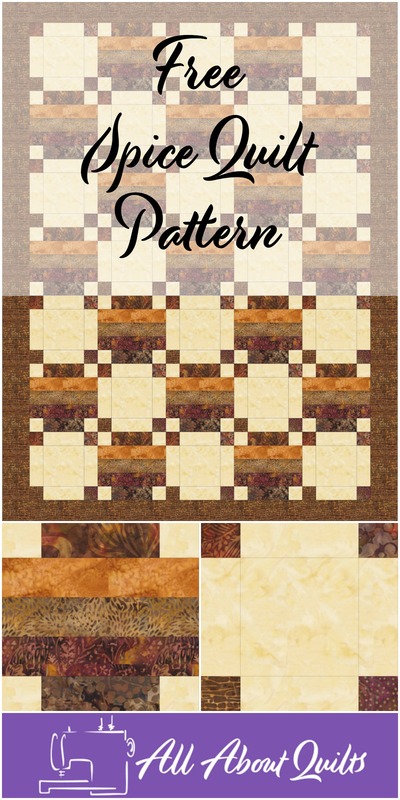 Of coarse you can create this quilt using fabric from your stash and they don't have to be batik fabrics. 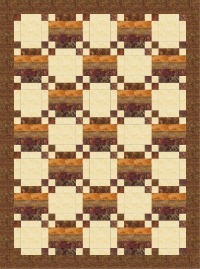 To make this quilt you will need to make 35 blocks, 17 block A and 18 block B. 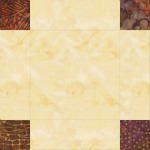 Each block is finished at 10" x 10" and is easily cut using the rotary cutting guides below. 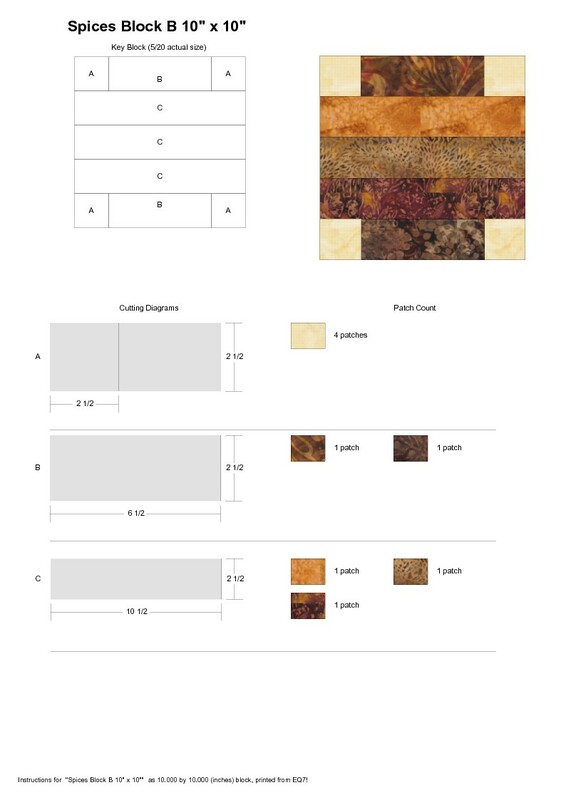 To download the pattern, rotary cutting block guide or quilt yardage guide click on the relevant image below. 1. I have included a rotary cutting guide for each of the two blocks. Following this will give you very accurate pieces to use to assemble each block. 2. 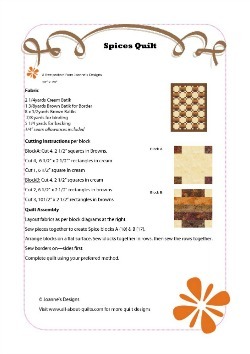 If you are relatively new to quilting or want to trial your fabrics then assemble one of each block first. 3. 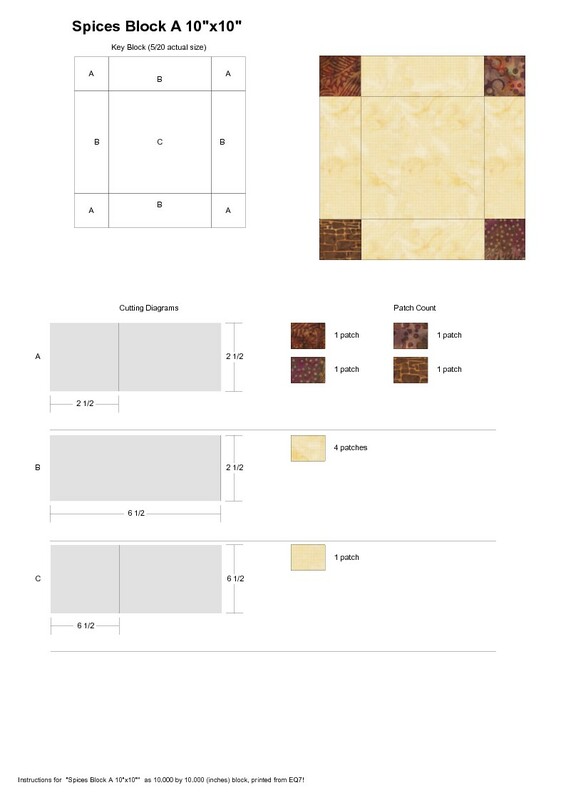 Cut out all your squares and rectangles ready for assembly. 4. This quilt can be constructed randomly or like me you can plan the colour placement by laying out each of your blocks on a flat surface. Adjust your colour scheme at this point - no need to unpick later if you do this now!! 5. Once all 35 blocks have been made lay them out on a flat surface and rearrange them if necessary. 6. Sew five blocks together to create each row. Seven rows in total. 7. Now sew the rows together to form the quilt top. 8. 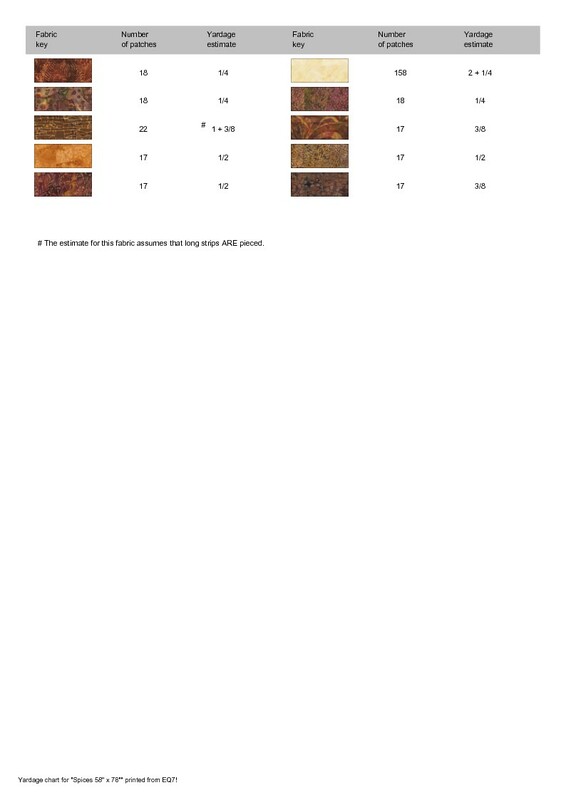 Remember to measure your finished quilt top in three places before cutting your border strip lengths. The border is 4" wide finished so remember to cut your border fabric 4 1/2" wide. 9. I have designed the binding to be double fold and allowed for this in the fabric yardage. Cut binding fabric into 2 1/2" wide strips. I hope you enjoyed Joannes Designs Week20. Just 32 patterns to go!